Earthly Windows, Chapter 3, the Industrial Revolution is part of the Summer Exhibition at the Verbeke Foundation. 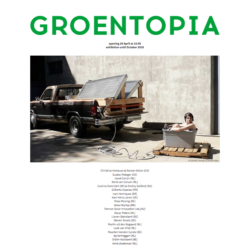 The exhibition Groentopia will open on April 29th 2018 at 3pm. All images appearing, unless otherwise noted, on this site are copyrighted and the exclusive property of Loek van Vliet. They may not be reproduced, copied, published, displayed or otherwise exploited without the prior written consent of Loek van Vliet.